If I thought it was hard to take pictures of a quilt, well. Photographing a knitted accessory is even harder! This is Millwater. 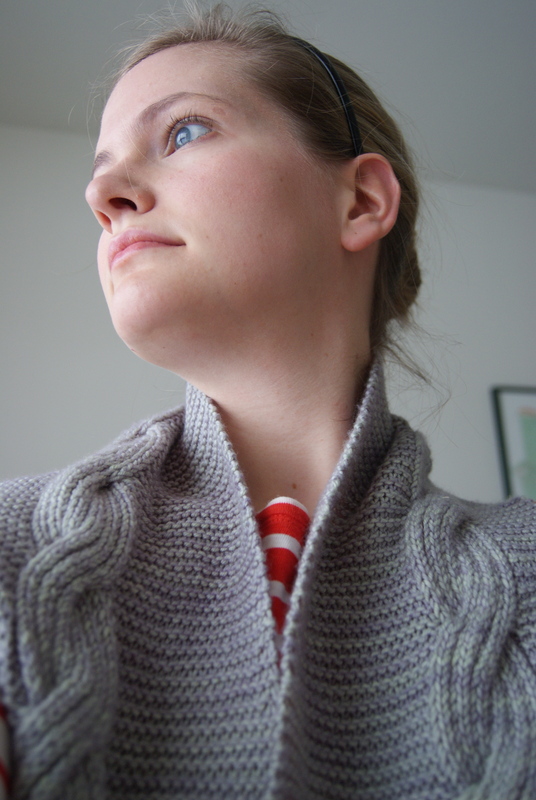 The pattern is by Beth Kling and can be purchased at Ravelry. I knitted it in Plucky Knitter Primo Worsted in Message in a Bottle, a new-ish colorway that is incredibly difficult to photograph. I think it’s gray, but it reads bottle-green most of the time, and looks downright purple on occasion. 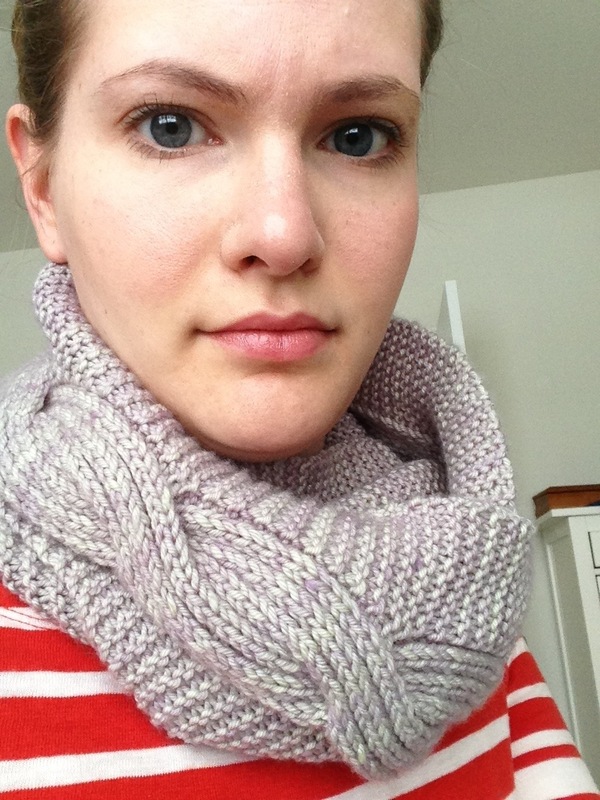 There’s cashmere in the blend, making this cowl incredibly soft and squishy–a lovely luxury for my neck. I’m wearing it now to make myself feel better about the six inches of snow March just dumped on us. 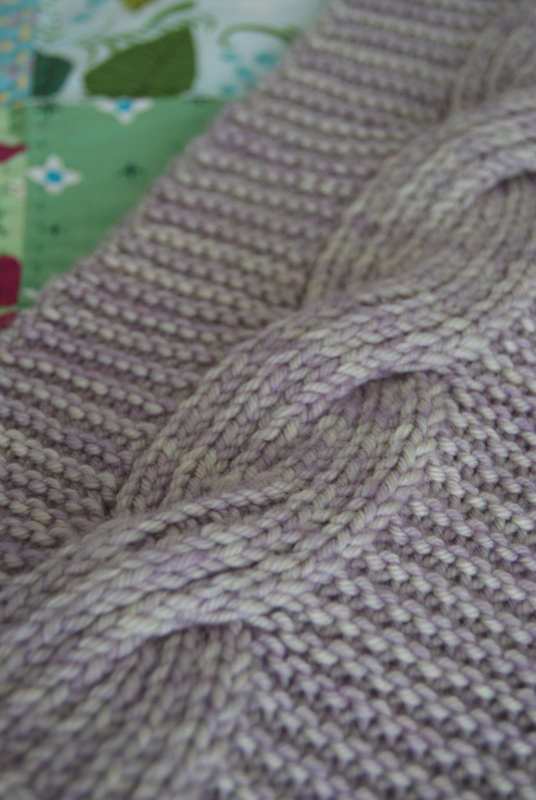 The pattern is worked flat and is mostly garter stitch. The cable looks terrifying, doesn’t it!? It’s so easy. I’d never knitted a cable before and look how beautifully mine came out. 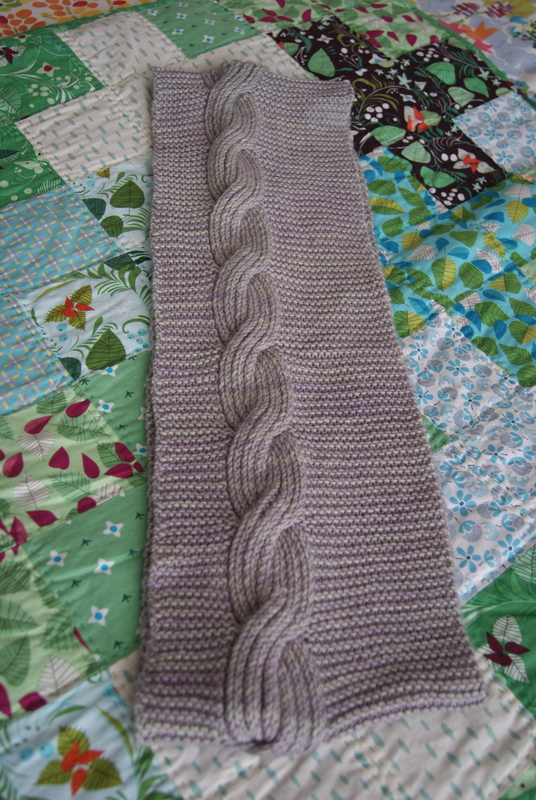 To make it an infinity scarf, it is seamed after being knit. I was scared of this project, but probably could have handled it months ago. Honey cowl was just as difficult! Wear it doubled for maximum Primo exposure. And don’t let your husband touch it. Or he’ll start talking about when you think you’ll be ready to knit sweaters and what colors does that yarn come in and really he has no need for scarves and hats JUST sweaters. PS: it would appear it’s time to start Ravelling. I’m littleandlots over there, too. Wow, I’m impressed. I love the color and the way it looks double-looped. So cozy. Love it! I think I’ll try that one next as well since three honey cowls is probably enough! I love it! Love the cable! I wish I knew how to knit… one day I will have to sit down and try again!